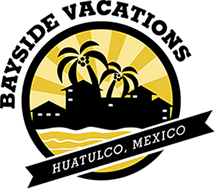 A lot of people who have bought property in Huatulco simply came on vacation and fell in love with the place… and for good reason. 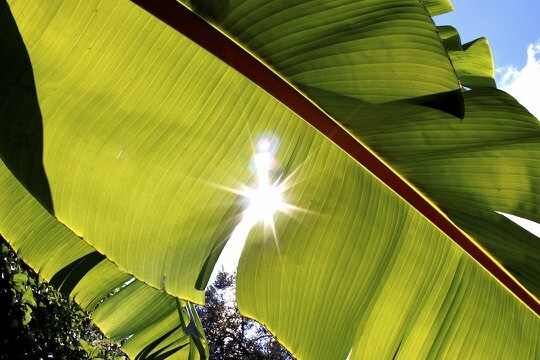 My husband and I actually scoured the Pacific Coast for several months in search of the perfect tropical location. Like Goldilocks, we hadn’t found the one that was “just right”, until we arrived in Huatulco. Driving into Huatulco, Rick breathed in deeply and said, “This place feels good!” Three days later we decided this would be our new home. Having seen the entire Pacific Coast of Mexico, I firmly believe that Huatulco is the best place! Since we arrived seventeen years ago, Huatulco has grown, but it still has the essential charm we felt then. In fact, as it developed, it has gotten even better, with more facilities available. Here are ten things I love about this place. 1. The beaches: There are 9 bays with 36 beaches, some of which can only be reached by boat; many are still virgin. Unlike the northern part of Mexico’s Pacific coast, our sea is warm enough to swim all year round; since snowbirds come in the winter, this is a big plus! 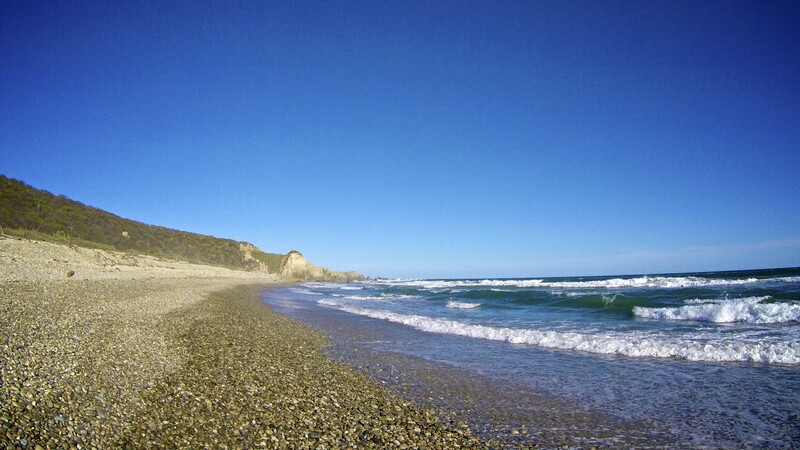 Some of our beaches are so calm they feel like big swimming pools, others are good for body surfing, and within a 30-minute drive you can find some spectacular surfing beaches. 2. The predictable weather: From November to mid-May we can almost guarantee there will be no rain. If there is, it will only be a light sun shower. From May to October we get between 35-40 days with rain and most of that falls in the wee hours while we are sleeping. This makes Huatulco a perfect year-round resort. It is too bad a lot of people do not see how absolutely gorgeous Huatulco can be in the summer months when everything is green and lush. 3. It is so neat and clean: All the streets are paved and the major ones are lined with grass and palm trees with the curbs painted white. The maintenance department of FONATUR, the tourist authority, has over 600 employees to pick up trash, keep debris off the streets, maintain the gardens, street lights and water, and generally keep the town looking great! 4. Our Unique Sewage Treatment: No sewage, treated or otherwise, goes onto the sea from Huatulco. This is what keeps our beaches so pristine; diversion of gray water to irrigation is also a good use of resources. Although Mexico treats and recycles water in a few other places, this system is rare; many cities on either coast of Mexico pump raw sewage directly into the ocean. Although the U.S. requires secondary treatment before sewage is discharged to any waterway, Canada does not, dumping 150 billion liters (nearly 40 billion gallons) of un- and under-treated sewage a year. The water treatment system is one of the things that contributed to Huatulco receiving the coveted Earth Check Platinum Certification. 5. The Birds: Huatulco is not only a popular resort for humans escaping the frigid northern winters, eighty percent of all the birds in Mexico pass through our resort. Just like human visitors, those feathered friends who are not permanent residents enjoy an extended time here. They are resting and fueling up for their long migration to and from South America. With over 280 different species of birds, Huatulco is a bird watcher’s paradise. 6. The National Park: Huatulco is Mexico’s premier eco-resort and the National Park is a big factor in this status. This zone is comprised of 6,375 hectares of forest, and 5,516 hectares of sea. (One hectare is equivalent to 2.5 acres.) The bays of San Agustín, Chachacual, Cacaluta, Maguey, and Organo are all part of the National Aquatic Park. The forest is not only an essential factor in bird migration, it hosts some 400 species of butterflies. In addition to insects and reptiles, the park is home to 130 species of mammals, including puma, ocelot, jaguarundi, deer, wild boar, fresh water otters, ocelot, marta, and anteaters.It is especially important that Huatulco maintain this rich forest reserve as more development encroaches on the natural habitat of these creatures. 7. The Copalita Eco-Archaeological Park: Ancient ruins are prolific everywhere in Mexico, including along the Pacific Coast, but Huatulco is the only site on this coast where they have been unearthed. This archeological zone, which dates back over 2000 years, is small compared to some of the major sites across Mexico, but it is significant since it is among the oldest. Much of the ancient forest has been left inside the park so that, unlike many sites that are entirely exposed to the hot sun, this is a very pleasant place to walk. With three separate eco-zones, it is also a great place for bird watching. 8. The Airport: Flying into Huatulco, you immediately feel that you have landed somewhere special. The place is dominated by several steep palapa roofs that simply scream “Tropical Vacation!” The recent expansion to the airport, which can now accommodate up to 20 planes per hour, is beginning to attract additional flights from multiple locations. This helps to make Huatulco easier to reach. 9. The People: In our travels, we have found most people in Mexico are friendly but this is especially true in Huatulco. It has a “small town” atmosphere, people are cordial and greet you passing by on the street whether they know you or not. I’ve experienced numerous acts of kindness from strangers and, as a foreigner, I have never been made to feel unwelcome. Vendors may be hungry, but they rarely harass tourist when a simple “No, gracias” is uttered. 10. 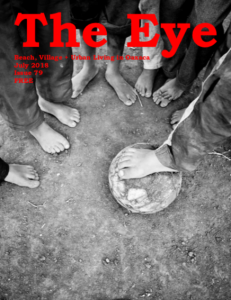 The Eye: A small group of people believed it would be nice for residents and visitors to have something available in English. This publication began in a black-and-white newsprint tabloid format in 2011. Gradually, the quality of the format has improved to become a full-color magazine. The Eye is available online, readers can search back issues for past articles, thanks to our “Web Goddess”. The writing, layout, editing, publishing, distribution and internet maintenance is all accomplished on a volunteer basis. The printing and web presence is paid for by our advertisers. 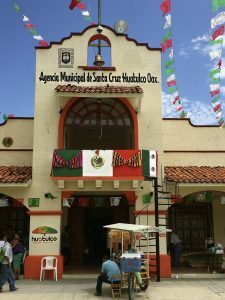 In a town as small as Huatulco I think it is amazing that a magazine of this consistent quality is available and it is a testament in itself as to what a great community we live in. Brook was born and raised in Calgary, Alberta, Canada, but caught the travel bug early. In 2001 she and her husband opened Agua Azul la Villa (http://www.bbaguaazul.com/), a six-room bed and breakfast. You can read Brooke's blog here: https://www.brookegazer.com/. She also writes for The Eye (https://theeyehuatulco.com/), a regional English magazine in Mexico.